Geneva: At least 29 children and newborns are reported to have died in a teeming camp in northeastern Syria over the past 8 weeks, mainly due to hypothermia, the World Health Organisation (WHO) said on Thursday. The UN agency appealed for unhindered access to al-Hol camp, saying the situation has become “critical” for 33,000 people living in bitterly cold winter conditions without tents, blankets or heating. 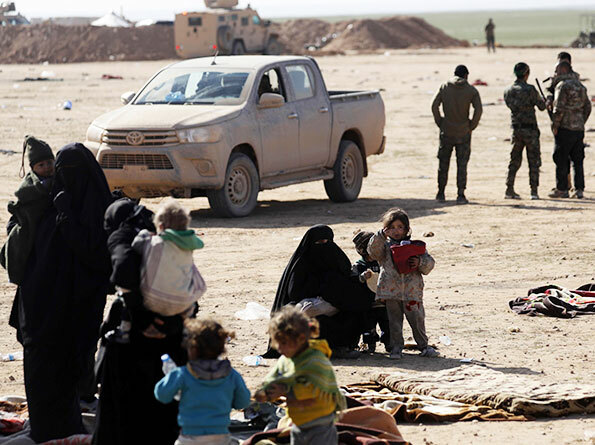 Many have walked for days after fleeing fighting in Deir Al Zor, it said. “Many new arrivals are malnourished and exhausted following years of deprivation living under the control of Daesh. Humanitarian access to the camp and surrounding roads is hampered by bureaucratic obstacles and security constraints,” the WHO said in a statement.